Lamar Odom has regained consciousness three days after he was found unresponsive inside a Nevada motel. The former NBA star spoke and gave a thumbs-up greeting from his hospital bed on October 16, said JaNean Mercer, a spokeswoman for the Odom family said. Lamar Odom, 35, had been on life support after being found on October 13 with blood coming from his nose and mouth. The former Los Angeles Lakers star has long struggled with addiction. Police said that an employee of Love Ranch in Crystal, Nevada, told emergency services dispatchers that Lamar Odom had been taking cocaine and libido enhancers. Motel employees said Lamar Odom had spent several days at the location. 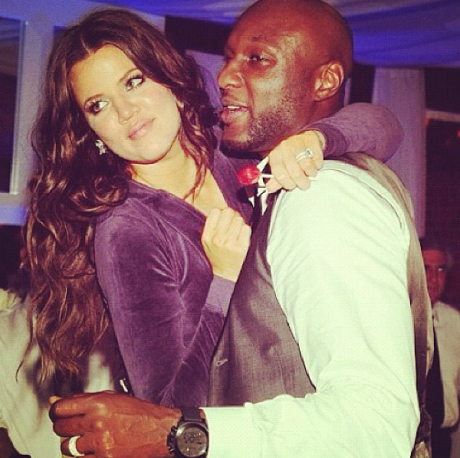 Lamar Odom’s estranged wife, Khloe Kardashian, had been making medical decisions on his behalf. The sportsman and Khloe Kardashian were married in 2009 in a ceremony that was taped for E! channel. Although Khloe Kardashian filed for divorce in 2013, it had yet to be processed.